Our Newly Revised Long Range Plan. What We’re Doing—And How. 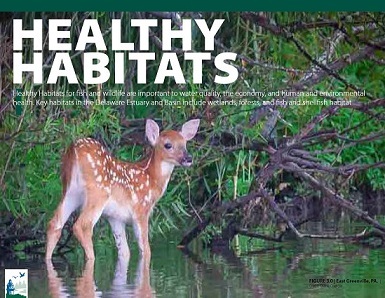 If You Live, Work, or Play in the Delaware River Watershed, Our Plan Matters to You! The Delaware Estuary – the tidal Delaware River and Bay – is the heart of the Delaware River Watershed. 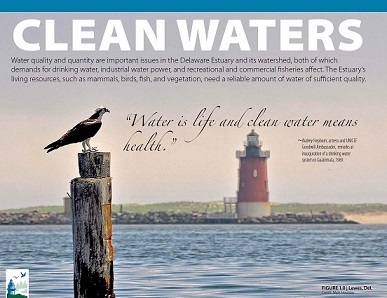 It spans from Trenton, NJ to Philadelphia, PA to Lewes, DE and relies on clean water from streams throughout the watershed, including those in the Delaware, Schuylkill, and Brandywine river valleys, and along the bay shores of Delaware and New Jersey. 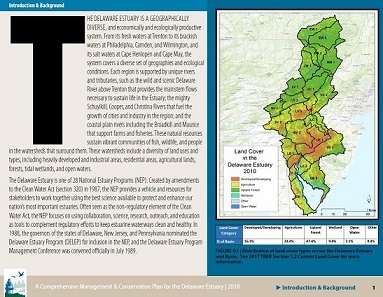 The Revised Comprehensive Conservation and Management Plan (CCMP) for the Delaware Estuary aims to make watershed improvements to benefit millions of people who live, work, and play in the tri-state region (PA, NJ, DE). 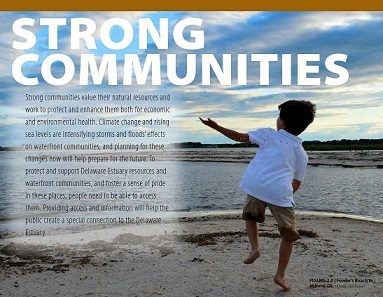 The original 1996 CCMP became the founding document of the Delaware Estuary Program and established the first goals and targets for habitats, waters, and a high quality of life for residents of the Delaware Estuary. Much has changed since 1996, including many plans and programs that advanced the original vision of the CCMP. 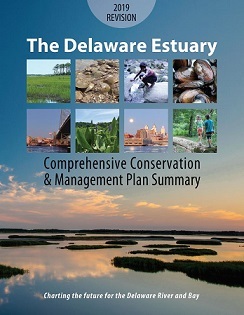 In an effort to make the CCMP a living document, the Partnership for the Delaware Estuary worked with members of the Steering Committee, the Estuary Implementation Committee, the Science and Technical Advisory Committee, local partners, experts, and stakeholders to establish a revised set of goals and strategies for achieving and tracking improvements to the heath of the Delaware Estuary. 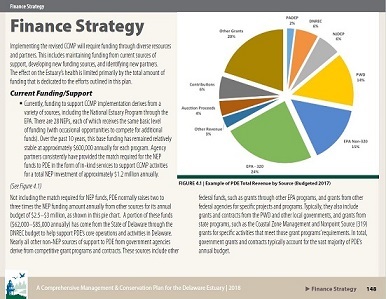 This revised plan seeks to continue and accelerate that improvement over the next 10 years. 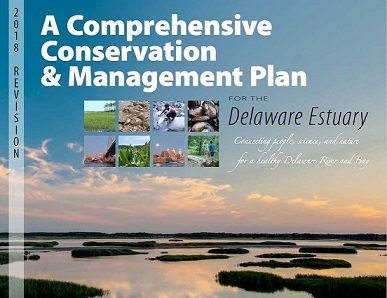 The Partnership for the Delaware Estuary and other Delaware Estuary Program partners would like to thank all local partners, experts, and stakeholders who attended meetings and workshops, provided comments, and worked with PDE during the CCMP Revision process.